Whole-wheat pastry flour is milled from soft white wheat, so it has less protein than regular whole-wheat flour. Less protein means less gluten and more tender baked goods. And no more hockey pucks. 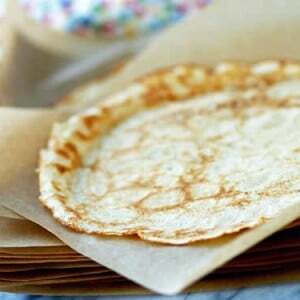 Give it a spin in these delicate traditional French crepes, which are delicious with sweet or savory fillings.